Melbourne International Airport is in the north of the city, bordering on the suburb of Tullamarine, which is why it is also often referred to as Melbourne-Tullamarine Airport. 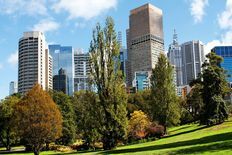 It is in the Australian state of Victoria, about 25 km or 15 miles from Melbourne's Central Business District (CBD). Tullamarine Airport is often called Tulla by the residents.